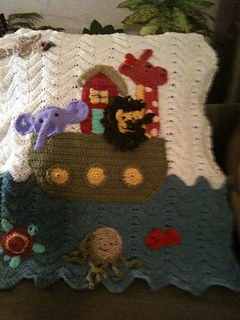 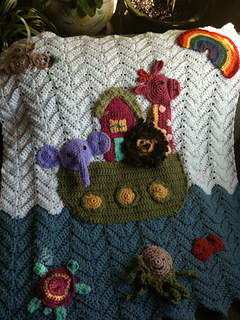 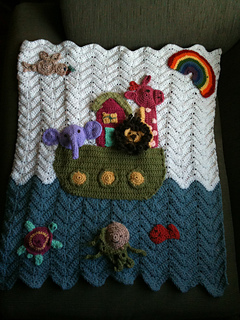 I wanted the afghan to represent the bibical events of the dove with the olive tree branch and rainbow I added an octopus and put a little yarn under the turtle shell. 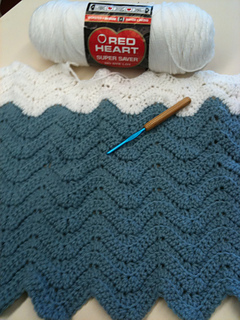 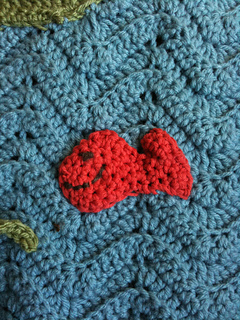 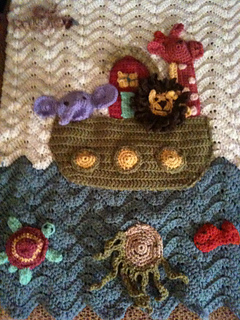 throughout the blanket background water and sky I double crocheted the wave stitch in the back loops. 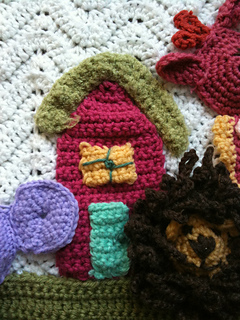 This was a delightful project and very easy to follow. 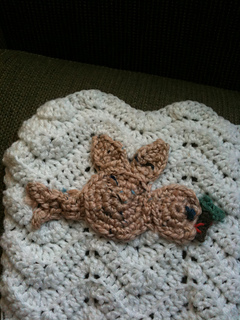 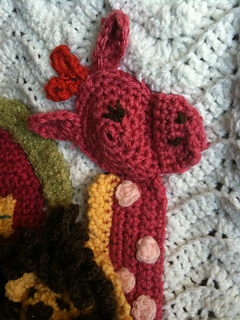 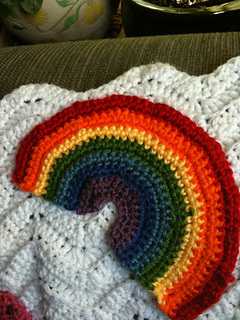 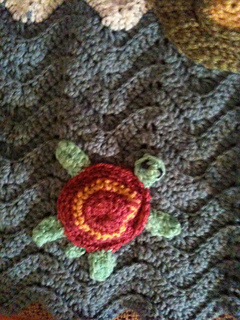 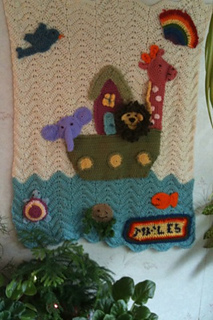 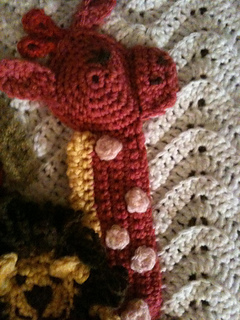 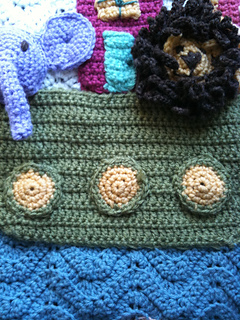 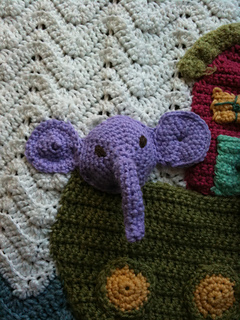 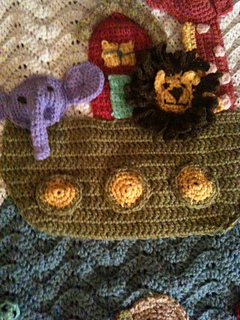 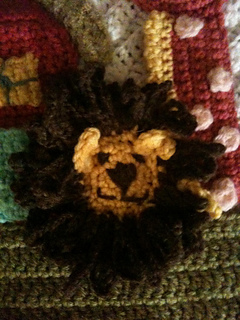 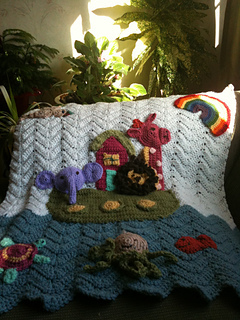 I made a second afghan (finished 6/28/10) for my grandson Myles which is the version 2. 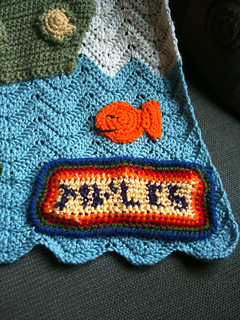 I added Myles’ name at the bottom using the tapestry crochet technique. 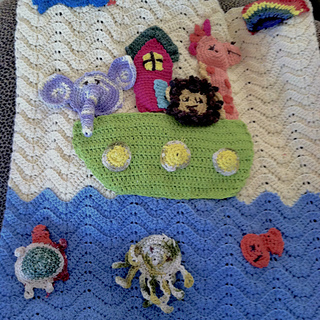 Third afghan began 8/12/10, finished 9/11/10 for Miguel & Juana.the forth for twins noah & Noemi (I put two of each animal on this afghan), and the fifth forJohn started 2/14/13 finished 4/6/13 (it took me longer due to the passing of my brother=in-law Ray Williams of the New York Knicks but it came out just as beautiful). 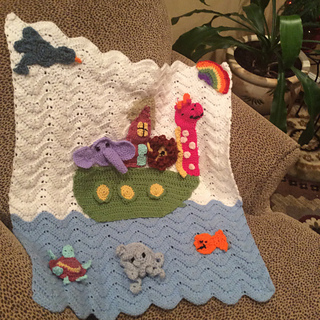 Fourth and fifth afghan began 10/17/14, completed on 1/17/15for a City College Library colleague.